Scenic Myanmar Countryside. Early morning Moody Landscape of Dirt Road. 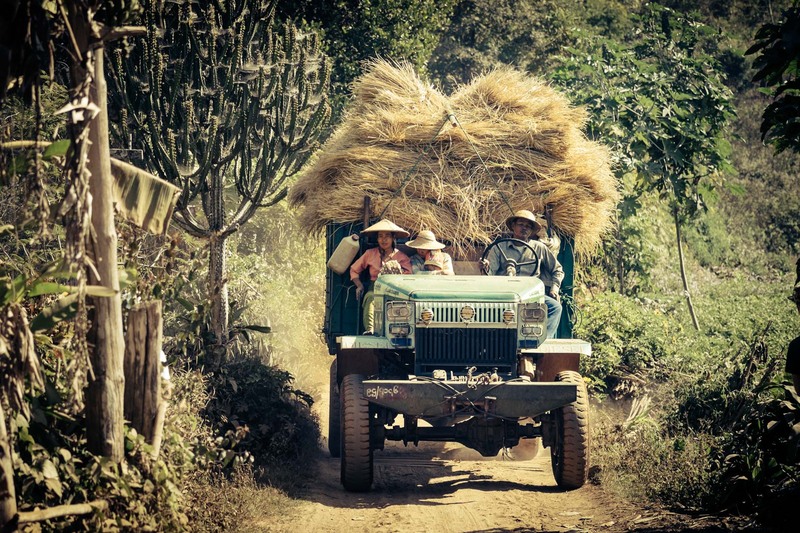 Family Travel in Vehicle Farming and Agriculture in Myanmar.